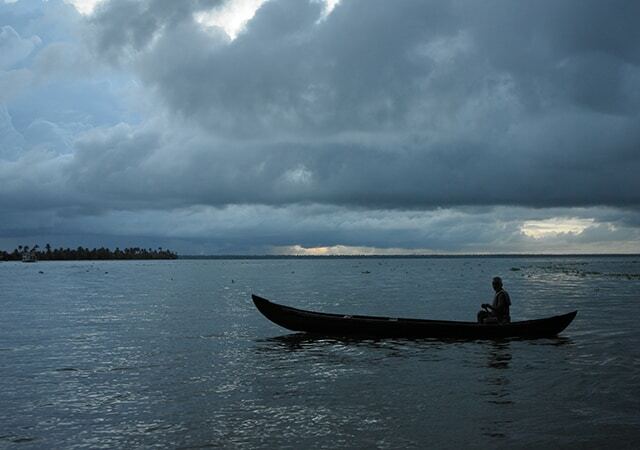 The ‘Venice of the East’, as Alappuzha is fondly known as, is a beautiful place and indescribable by words. The mesmerizing backwaters, the picturesque canals, beaches, stretches of paddy fields and brackish lagoons are what makes this district so attractive to people. Alappuzha is well known for the iconic backwater cruises that would take you to stunning locales in and around the place. The extent of the cruise would of course, be dependent on the amount of time you want to spend gazing at the beauty of backwaters. 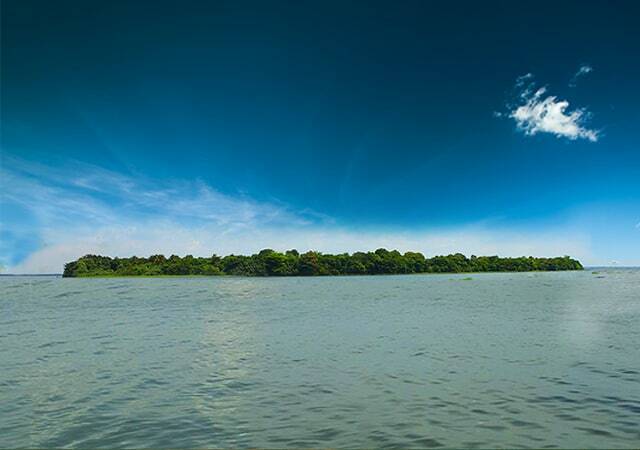 Alappuzha is blessed with extravagant, natural flora and fauna that you can see when you drift along on the cruises. Alappuzha is also the traditional hub of Kerala, and hence, there are plenty of activities that you can do there. Let’s go through the list below. When you go along the backwaters of Kuttanad, you will get a chance to glimpse the bucolic way of life of the people and marvel at the exotic aquatic and avian life. The entire length of Kuttanad stretches for a distance of approximately 150 kilometres right from Kollam to Kochi and can be enjoyed through rice barges or houseboats. The house boat ride from Kollam to Alappuzha is a divine experience, but must be pre-booked if you want to enjoy it to its full advantage. You can make it a full-day tour or an overnight one if you want to savour a beautiful night under the stars. Marari Beach is another favoured spot of visitors to Alappuzha, it being the ideal destination for those who want to explore the stunning backwaters of Kerala. There are plenty of resorts where you can stay and enjoy the scenery, while indulging in activities that form the traditional charm of Kerala. Tourists come to Marari to undergo Ayurvedic treatments and spas or to simply enjoy the backwaters. 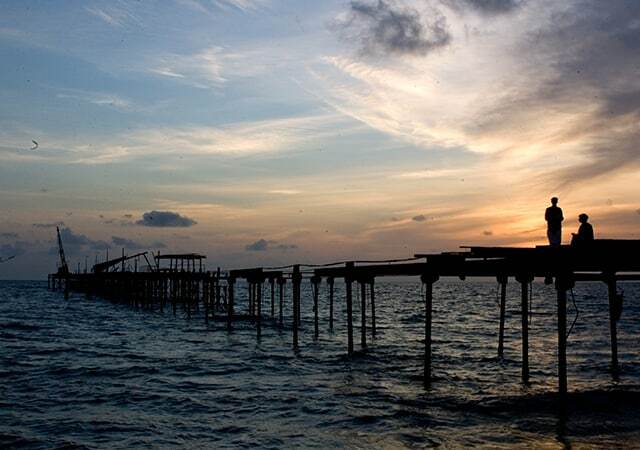 Pathiramanal Island is an island situated right on Vembanad Kayal, and comes under Muhamma panchayat in Kumarakom. The island is well known for its bird watching opportunities; so if you are a bird lover, this is where you must go. In the local language, Pathiramanal means “sands of night”. The view from the island is so mesmerising and amazing that you will never want to leave. 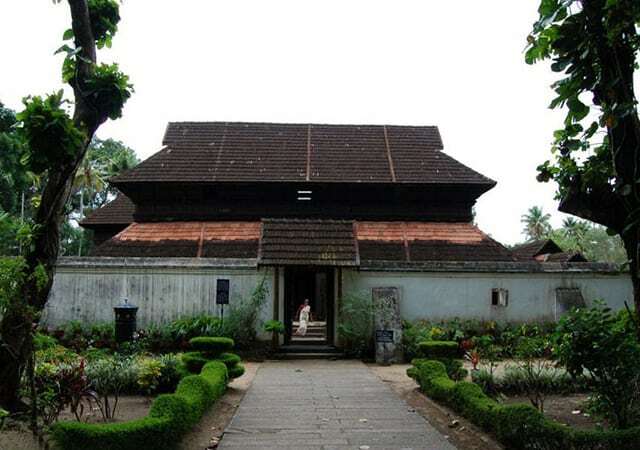 To see a perfect Kerala style architecture, you must visit Krishnapuram Palace at Kayamkulam. It is not clear when this palace was built, but now it is a protected monument, according to the Archaeology Department. Today, this palace is also an archaeological museum and the most fascinating exhibit here is the 49 square meter single mural painting titled, Gajendra Moksham (salvation of elephant king). The painting shows the elephant king giving salutations to Lord Vishnu, while other kings and Rajas look on. There is a beautifully landscaped garden in the palace compound that you must visit. 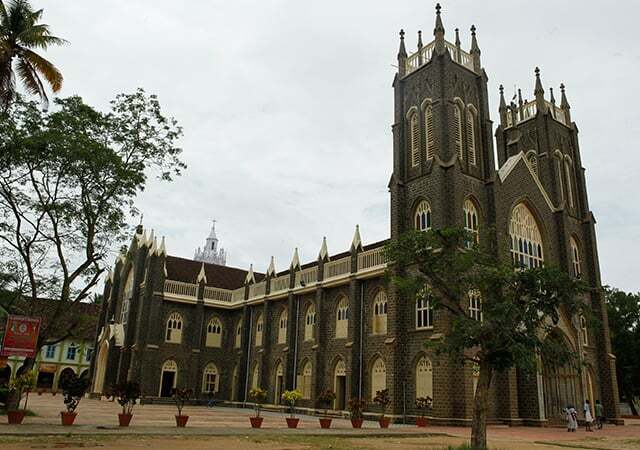 The Arthunkal Church or the St. Sebastian Forane Church is one of the very famous churches in Kerala attracting thousands of devotees every year. It is situated at a distance of about 1.2 kilometres from Cherthala town. 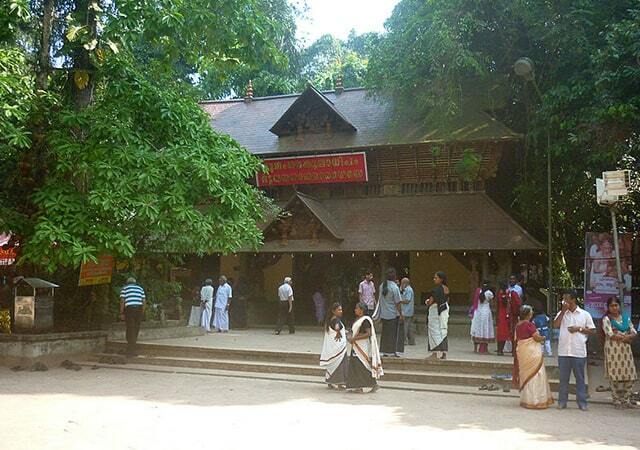 The church is well known for its 10-day annual festival, known fondly as the Arthunkal Perunnal. According to records, the church was first built by the Portuguese in the 16th century. Many Hindu pilgrims throng to visit this church after their visit to Sabarimala Ayyappa temple. 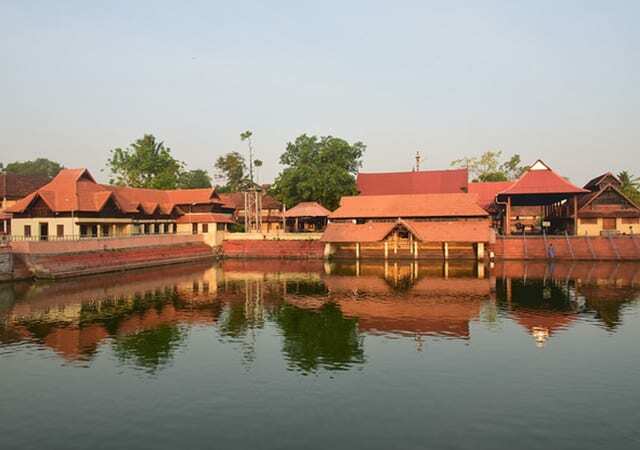 Lord Sri Krishna, the stealer of hearts has thousands of temples all over Kerala, but Ambalapuzha Sree Krishna Temple stands out from among them. It is one of the most visited Hindu temples in the entire state and is even known as Guruvayoor of the south. The temple is also known for its pal payasam , an offering made to the Lord, and later enjoyed by the devotees. This ancient Hindu temple was built during the 15th century and still retains its ancient heritage charm and beauty. The spiritual energy and vibration that you are likely to feel after visiting the temple is definitely very unique and you can actually feel the divine presence standing right next to you. The Mannarshala Temple is the last resort for couples yearning for a baby. This is actually a Nagaraja temple (snake temple). Many devotees come here every year to offer prayers and to seek the help of the reigning deity. This is a very ancient temple and the deity is extremely powerful and easily pleased. You must visit the temple at least once, because it certainly gives you a sense of peace and calmness, probably because of all the greenery and forest glades that surround the temple. Located in the Chettikulangara taluk of Mavelikkara, Chettikulanagara Devi Temple attracts a heavy throng of visitors every year. Chettikulangara Bharani is the most famous annual festival of the temple, and if you visit during that time, you will be able to listen to several interesting folklore and stories related to the temple and feast your eyes on the splendid preparations made for the festival. The festival is held during the Kumbham month (February/March period). St. Mary’s Syro Malabar Catholic Forane Church is located at Champakulam in Alappuzha district. According to the records mentioned in history, the church was built in the 9th century period on the land donated by a Brahmin family. The family was pleased to have a male heir born as a result of their prayers to Virgin Mary. The statue of St. Sebastian that you see now at the church was brought in by a Portuguese sailor, Leonard D’Cruz. An interesting aspect about the crucifix at the church is that it shows St. Sebastian minus his wounds. Karumadikkuttan is actually the name of a granite Buddha statue that is found in Karumadi near Alappuzha. The name stuck because of the black color of the statue. An unusual aspect of the statue is that it’s entire left side is missing. The rest of the statue has been recovered by the Archaeological Society of India and kept within a protected enclosure. The statue is credited with possessing several healing powers and the locals are still in great awe of the statue. 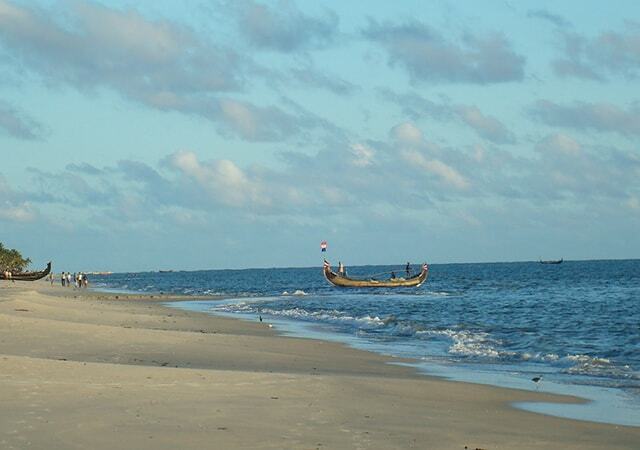 Alappuzha is a wonderful city with plenty of interesting tourist attractions for you to see and enjoy. The best time to visit the city would be of course, during the November to March months because the climate would be just right, as the entire state would be in all glory and beauty after the monsoon season. If you like this post, please share! Yes, Arun…. Kerala is indeed God’s own country! 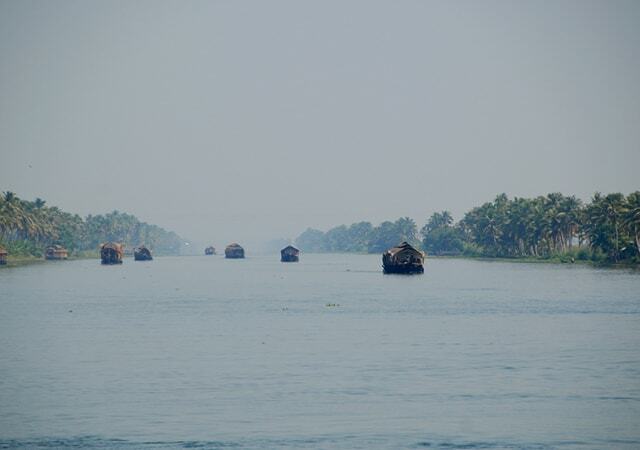 Backwaters of Kuttanad <3 <3 i haven't seen such a place like kuttanaadu before…..
good, I like this place! Really glad to hear that, Suresh! Excellent tourist spots. Thanks for sharing. When I come to Alappuzha definitely I will visit those place. Wonderful Blogs… Thanks for sharing…. What is the current status of tourist places in Munnar, Thekkady, Alleppey after the devastating floods in August 2018???? All districts in Kerala have recovered from the flood situation and it’s open for all kind of tourism activity.